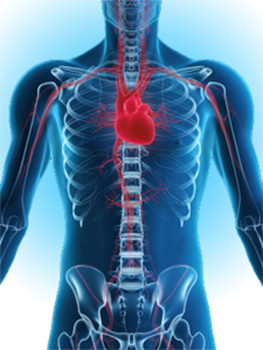 Cardiovascular conditions refer to a number of different diseases that includes the heart, the blood vessels, or both. Cardiovascular disease involves a number of conditions affecting the structures or function of the heart including a heart attack, coronary artery disease (CAD), abnormal heart rhythms, heart failure, and more. Statistics have shown that cardiovascular disease is the leading cause of death for both men and women in America. It is crucial to know about your heart to help prevent heart disease and other complications. Elevated, or high, cholesterol is too much cholesterol in your blood. Cholesterol is a kind of lipid, which are groups of fat and fatlike substances located in your body and in the foods you consume. High cholesterol levels are typically due to an underlying issue with your lipoproteins which are a combination of cholesterol, fat, and protein that your body needs and uses to transfer cholesterol and fat nutrients in your blood. Having too much of these cholesterol-transporting lipoproteins can cause a buildup of cholesterol inside your arteries. Triglycerides are another kind of fat that is located in the blood. Having too much triglycerides in your blood can cause fat buildup in the arteries in your heart which may increase your risk of developing coronary artery disease (CAD). Below 150 mg/dL is considered normal. 150 to 199 mg/dL is considered borderline-high. 500 mg/dL or more is considered extremely high. It is important to get a minimum of one cholesterol screening every year to reduce your chance of heart disease. High blood pressure, also known as hypertension, is a very common condition in which the force of the blood pushing against your artery walls is so high that it can eventually cause health complications, such as heart disease. Blood pressure is measured by the supply of blood your heart is pumping and the amount of resistance to blood flow in your arteries. The more blood your heart forces and the narrower your arteries, the higher your blood pressure will be. Some patients go years without even realizing they have high blood pressure, because they do not experience any signs or symptoms. Not knowing that you have high blood pressure extremely increases your risk of developing dangerous health problems including heart attack and stroke. Most people who have high blood pressure do not experience any symptoms–even if their levels are extremely high. However, some people with early-stage high blood pressure may have dull headaches, dizzy spells, or a bloody nose, but these symptoms do not usually appear until high blood pressure readings reach dangerously high levels. High blood pressure generally affects everyone at some point in their lives. Fortunately, high blood pressure can be easily targeted. Once you know you have high blood pressure, you can create a treatment plan with your doctor to help control it. The best treatment option for the prevention of cardiovascular conditions is lifestyle changes. Adopting a healthy diet and an exercise routine will drastically lower your risk of developing heart disease. Our clinic provides each patient with both dietary and lifestyle counseling, as well as nutritional and dietary supplementation education, to help you along the way to overall health and well-being. Call our office today if you have any questions about cardiovascular conditions.